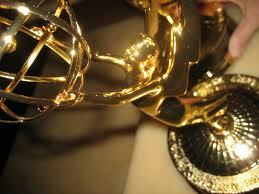 The 64th annual Primetime Emmys will be hosted by Jimmy Kimmel. The show will air on ABC on September 23. It will be his first time hosting the Emmys. It is surprising since he has hosted for a number of awards shows such as the ESPN Espy Awards and the American Music Awards. Don Mischer will be the show’s executive producer for the 12th time, a record. He said via a statement that he loves television and looks forward to the ABC show and working with the Academy. He promised a fast-paced show full of humor, which will be unpredictable and celebratory of the industry. Kimmel has been successful of late. His post Oscar show is now a must-see and his fake trailer he made became an instant viral sensation. The show will be broadcast live to the entire United States by ABC. The show honors the best that the television industry has to offer. Over the years, the show has gained importance as actors and actresses have seen playing roles on the small screen as being as important as the big screen. Kimmel will host in April, the White House Correspondents Dinner. Stephen Colbert made this a high-profile event when he performed a scathing routine in the presence of George W. Bush back in 2006. However, most people believe Kimmel will not do the same to President Obama.